SYNOPSIS: In a small New England town, in the early 60s, a shadow falls over a small boy playing with his toy soldiers. Jamie Morton looks up to see a striking man, the new minister. Charles Jacobs, along with his beautiful wife, will transform the local church. The men and boys are all a bit in love with Mrs Jacobs; the women and girls – including Jamie’s mother and beloved sister – feel the same about Reverend Jacobs. With Jamie, the Reverend shares a deeper bond, based on their fascination with simple experiments in electricity. Then tragedy strikes the Jacobs family; the preacher curses God, mocking all religious belief, and is banished from the shocked town. Yes, another King novel. I have made it my life’s mission to read everything from him. I absolutely love and adore King and his work and have read a hell of a lot of it, but a lot still isn’t all, so I am rereading the ones I have read and starting the others I have not. This is one I was curious about, as it is one of the more recent ones, and when I saw it in my library I thought it was time to give it a shot. Man, I am so glad that I did. Revival is really good, exactly what I hoped for. You journey through life with a character, from when they are children to when that one, big, crazy event occurs, and as always, Kings blows it out of the park. When Jamie looks back on his life and reminisces, it feels as though you are, because his journey has become your journey. Charles Jacobs is an interesting character, and the man is crazy to boot. I can totally understand how a tragedy like that could push someone clean over the edge, but the things that Jacobs was willing to do for his research is intense. I really liked reading this, and enjoyed Jamie as a character. I must say I enjoyed the gaps and the encounters between Jamie and Jacobs, though many have complained. The books devolves into plain crazy by the end, but typical King style, it takes you there and you have fun with it. 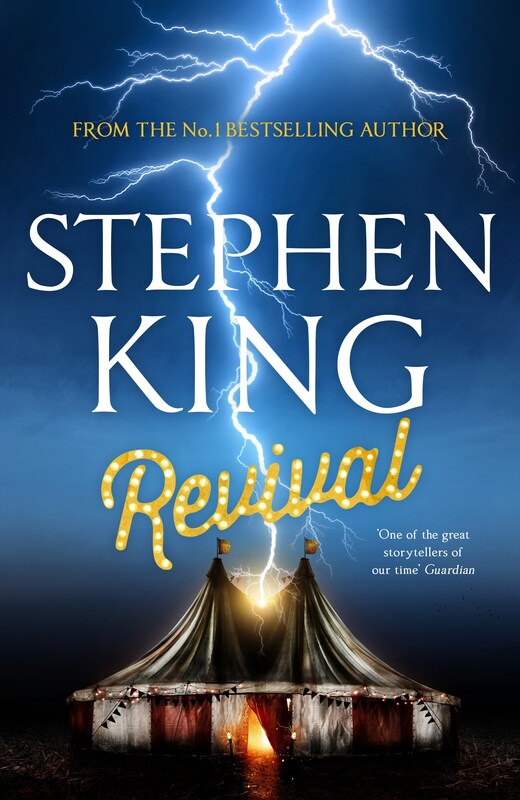 Revival is well written and an enjoyable read, definitely honing in on that Lovecraftian tribute, and something I thought was really good. I breezed through the book, and though there were some niggles, and I found the secret electricity thing to be a bit much at times because we never really got anywhere with that, this is still definitely worth the read. This entry was posted in Books and tagged book reviews, books, entertaining, horror, Stephen King, Supernatural, well worth reading. Bookmark the permalink.